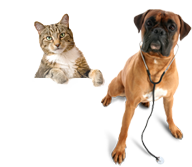 We would like to provide useful information for pet owners on this page. No two pets are the same, so remember that these may not always apply to your animal in your location. We will be gradually adding and updating the material as time allows. If you need clarification, feel free to give us a call or stop by the hospital. © 2019 Forest Valley Veterinary Clinic.